I was slightly upset when I learnt that Spasso Milano would be moving out of their Ampang location where my ROM was held. I had a lot of good memories there and it was a shame that they were relocating. That aside, I was happy for Spasso Milano as it was moving to a better and more accessible location – Pavilion Kuala Lumpur. 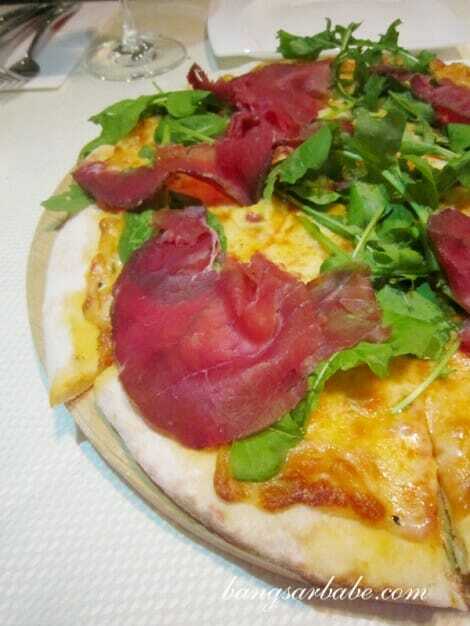 But that wasn’t the only big move made – Spasso Milano is now non-halal and this to me is Italian food at its best. The new Spasso Milano now enjoys a bevy of customers. At least that was what I noticed when I popped by for the antipasti lunch buffet (RM28++ per head) not too long ago. 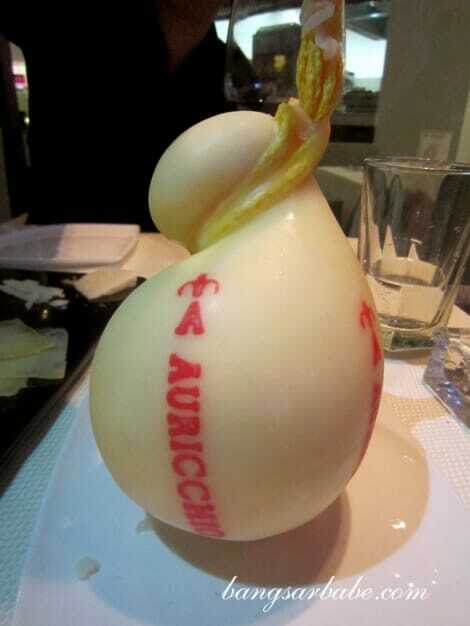 However, I am going to talk about the new ala carte dishes which I had the pleasure of trying last week. I was pleased to see regular faces like Angelo the maître-d and Mary, their head waitress from the Spasso Ampang days. With them around, service is almost guaranteed to be good. 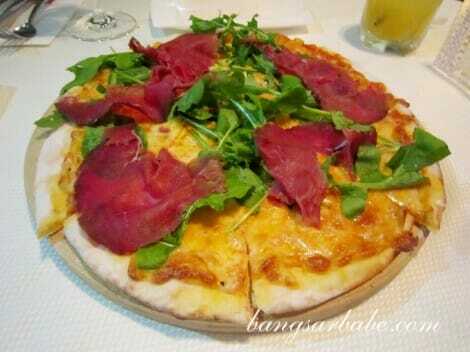 For starters, the Pantesca (RM21.80) and Smoked Scarmoza Cheese and Speck Pizza (RM42) were standouts. 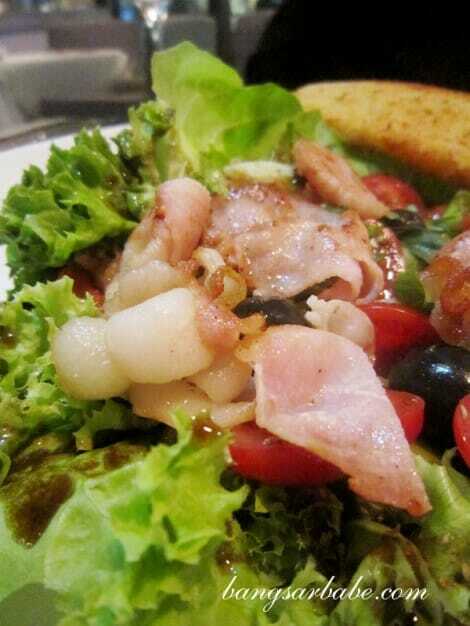 The former was enlivened by crisp garden greens, olives, capers, tomatoes and streaky bacon strips (RM6). I liked how the oregano balsamic vinaigrette gave the salad an acidic touch without overpowering the key ingredients. 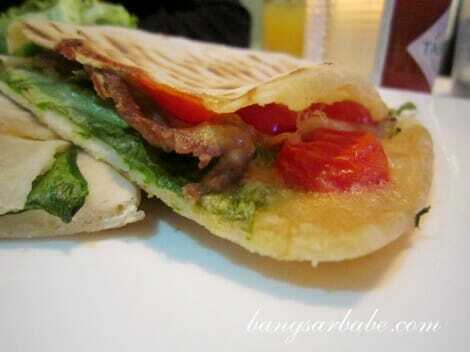 Besides bacon, you have a choice of smoked salmon (RM8) and pesto-flavoured chicken (RM6). Cooked in the tempering heat of wood fire, Spasso’s pizza crust was a fantasy of crispness that was also soft and pillow-y. Married with the warm gooeyness of the scarmoza (a creamier and saltier version of mozzarella) and tomato base and rich, well-streaked speck (a type of air-dried ham), every bite was a delight. 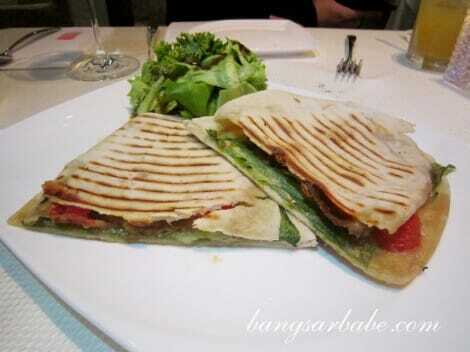 The Roasted Wagyu Beef Panini (RM32) comprised Wagyu strip loin, lettuce, onions, tomatoes and Parmesan with light mustard mayo. Pressed into gooey, crispy deliciousness, I was pleased with the good ratio of filling and bread, which by the way, was made using pizza base. Risotto alla Monzese (pronounced: ree-zo-toe ah-la moan-zay-say) is a pork sausage risotto cooked Monza style; Monza is a town on the outskirts of Milano. The risotto, yellow from the addition of saffron, was al dente and richly flavoured – I loved this. 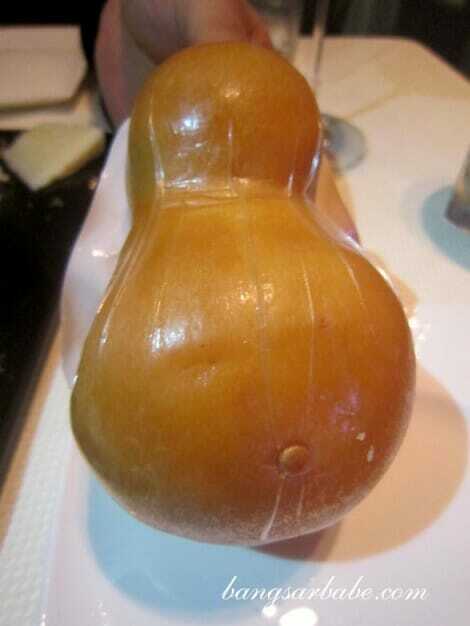 The Italian sausage was made fresh in-house and was succulent, chunky and flavourful. 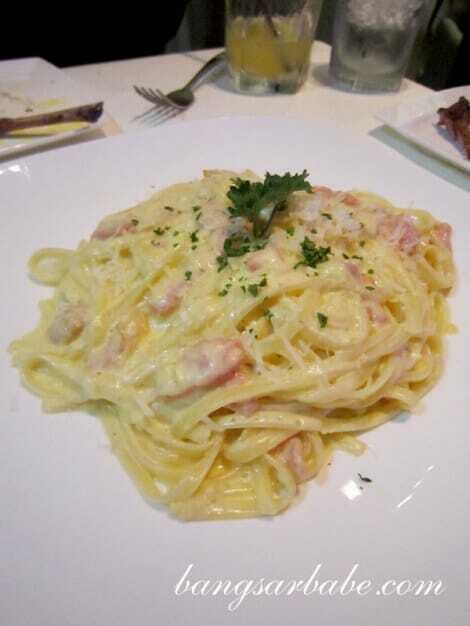 Spasso Milano’s fettuccine carbonara (RM28.80) was just as satisfying. Perfectly cooked pasta – studded with slivers of bacon and onions, and tossed in just the right amount of eggy sauce – each bite was luscious yet not overly rich. 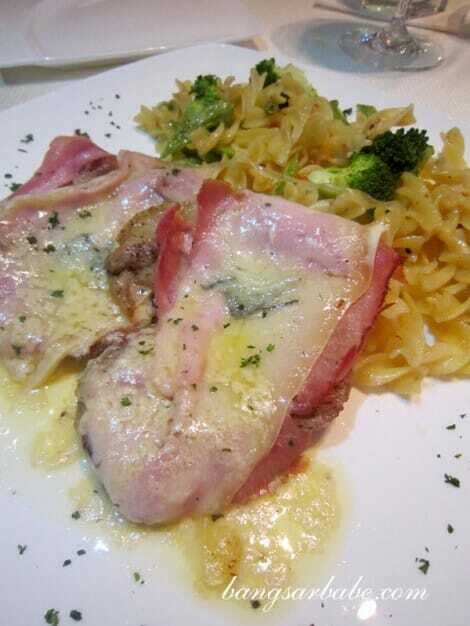 It was almost identical to the carbonara I had in Italy. 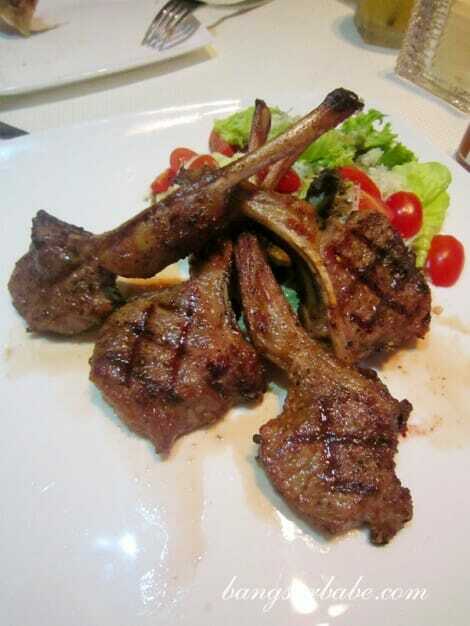 The Rosemary Lamb Chop (RM78 – 250gm) on the other hand, needed fine-tuning. While the seasoning was good, the lamb was slightly overdone. If you like your lamb well done, then this is your dish. I like my meat with a bit of pink at the centre. 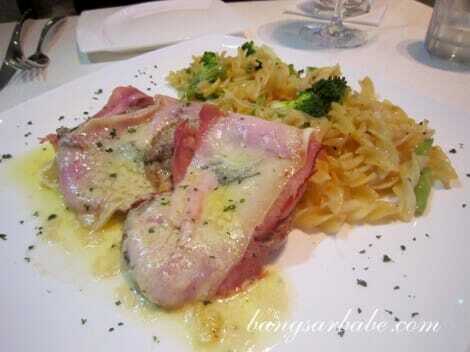 Delicious was the Pork Valdostana (RM38) – pork escalope topped with a generous amount of Fontina cheese and baked ham. Tender and strong on flavour, this was hearty Italian food. 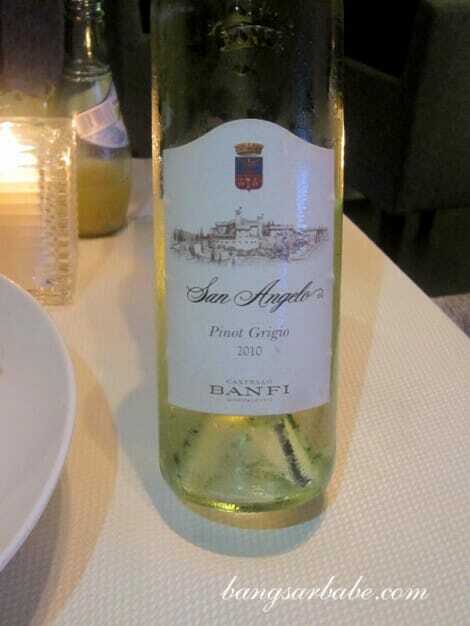 The side of aglio olio fusilli was the perfect accompaniment to this. 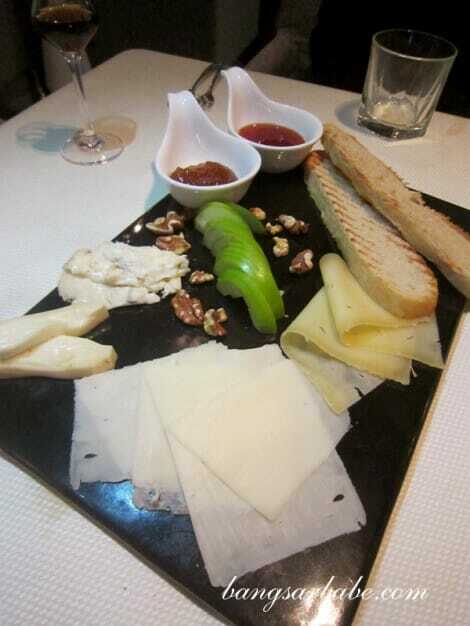 Spasso’s cheese platter (RM38) comprised a selection of four from gorgonzola, taleggio, pecorino, provolone, fontina and smoked scarmoza served with apple slices, walnuts and grilled focaccia. Of these, my favourites were the provolone and scarmoza as they were smooth and spreadable. 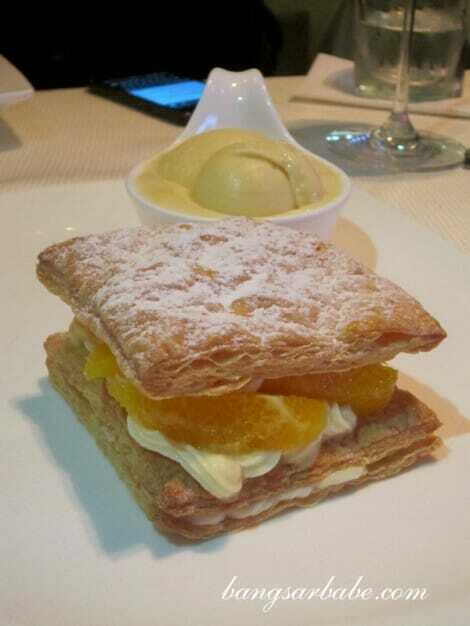 Millefoglie (RM16.80), the Italian version of millefeuille led the dessert lineup. This delicate composition of puff pastry sandwiching mascarpone cream and strawberries was rich in taste yet light in texture. 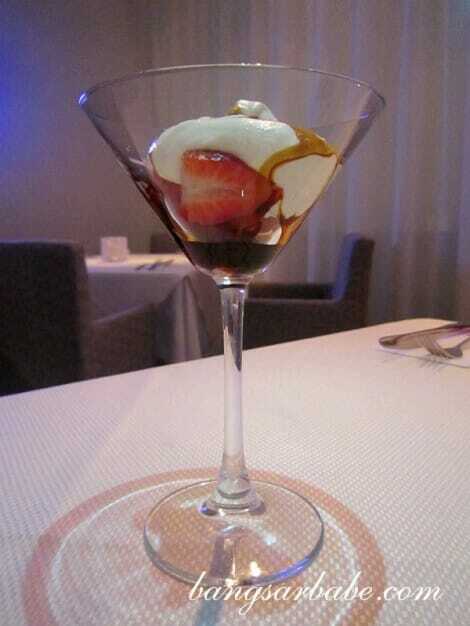 I thought the strawberries and fresh cream – drizzled with 25-year old balsamic vinaigrette – was noteworthy. 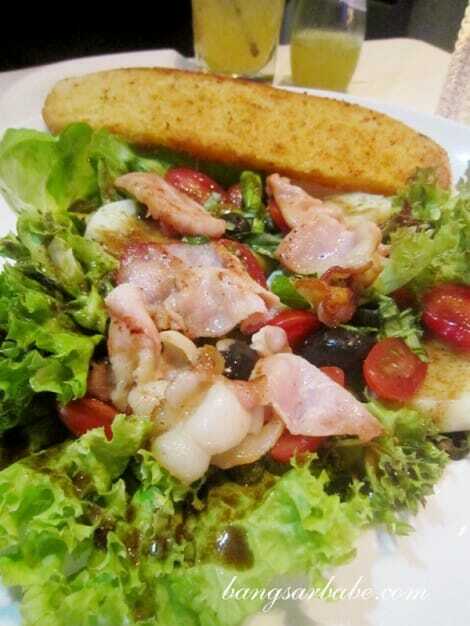 The balsamic vinaigrette was fruity, intense and sticky, and with a mild acidity. Almost like honey, I remarked in between bites. I should have started with the tiramisu and ended with the balsamic vinaigrette as I found the tiramisu less exciting after the first two desserts. This combination of espresso soaked sponge fingers and mascarpone cheese was quite decent, but hardly memorable. A stronger dose of alcohol might do the trick. I did however get two strong doses of alcohol in the form of Bergami and Liquiri (RM16 per glass). 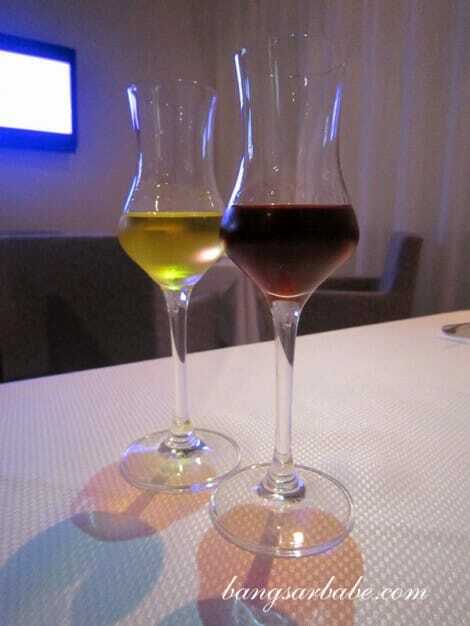 The former is a honey-based liquor and the latter, made of licorice. Both were sweet with a smooth finish, but I enjoyed the Liquiri better. As some of the staff are green, the service may not be as stellar all the time. Spasso Milano in Pavilion may only be a month old, but it is starting to make waves with its new non-halal menu. I’m glad that Chef Felice stayed true to his roots – serving customers hearty and traditional Italian food that is far from pretentious. Verdict: I liked it when it was pork-free, but now that it’s non-halal, even better! You should check this place out. Prices are somewhat reasonable and portions are generous. 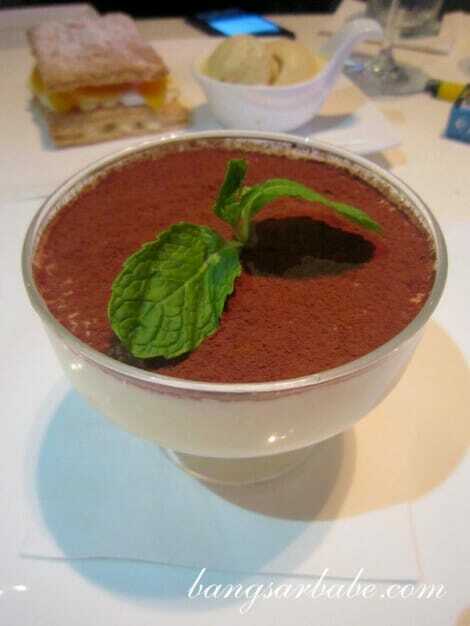 Ooh so you love tiramisu with more alcohol too. Hehe. high 5!! So which place does a decent tiramisu in your opinion? That’s a lot of a la carte dishes to try! Love that they’re going non-halal too.. looks like I have to visit it soon. How was their antipasti btw? Was it the same as Ampang times? The antipasti buffet is similar, but with pork items and is RM10 more expensive. But still pretty good value for money. 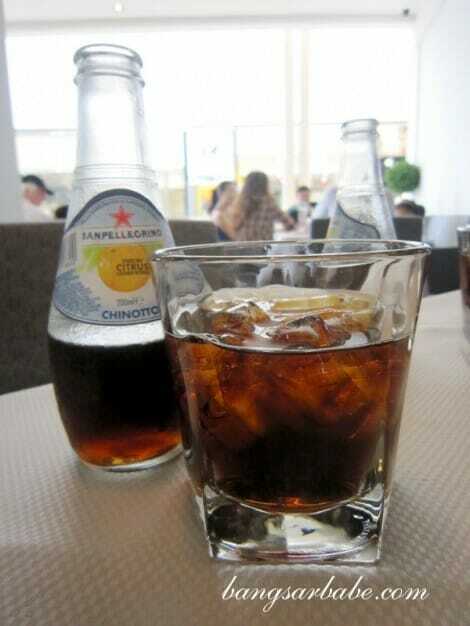 normally i will end it with amarone grappa..